The link between the Yorkshire Dales community of Ingleton in North Yorkshire and Barnsley’s industrial past may seem remote. But the links between the two places is closer than most people think. 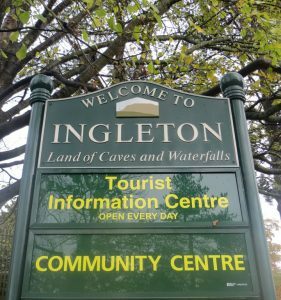 Like Barnsley, Ingleton used to be in the old West Riding of Yorkshire until local government re-organisation in 1974 moved the parish into North Yorkshire. Surprisingly, and similar to Barnsley, Ingleton also had a coalfield. Coal mining in Ingleton started about 400 years ago. There are several seams of coal in the Ingleton coalfield which covered an area to the south west of the village and was roughly four miles wide and six miles long. Some of the seams were of a poor quality or too thin to be extracted economically. However other more profitable seams of coal existed and over time were won by the miners of Ingleton. The “Ten Foot” seam was a good house and steam coal, In certain areas it was 10 foot 7 ½ inches thick. Alongside this thick seam were the plainly named, Nine Foot, Six Foot, Four Foot and Three Foot seams. Each named after their particular thickness. All the seams were ideal for house and steam use and the Four Foot had the added benefit of being a good coking coal too. The coal seams were found at depths between 127 and 260 yards from the surface with the Ten Foot the shallowest and the Six Foot the deepest. Various collieries emerged over the years each with its own distinctive owners and history but the colliery that had the most impact on the link between the Ingleton Coalfield and the tragedy at the Oaks Colliery was perhaps, Wilson Wood Colliery. The closure of Wilson Wood meant that unemployment in the small village of Ingleton grew and with the nearby cotton mill closed the choice facing the newly unemployed miners was poverty or to search for work in other areas. By November some had found work in Lancashire, particularly around Burnley, and some found work at, The Oaks Colliery. For the miners heading to Barnsley, and their new mining life working at the Oaks pit, little did they know that in a mere six weeks they would be involved in the worse mining disaster in English coal mining history. 12 of them would be included in the death toll of 361. Three families of Ingleton miners lost sons and fathers in the disaster. The family most affected was the Barker family who lost six. Ex Wilson Wood miner Robert Remington at 15 years of age also lost his life and initially it was thought his father Richard was also killed but he had not gone to work that day because of illness. Interestingly the Remington name has a long association with coal mining in Ingleton. When Wilson Wood Colliery closed it ended decades of Remington family attachment to the Ingleton coalfield one of the family had worked for 67 years coal mining, his father for 72 years and his grandfather for 60 years. *The colliery would re-open in 1874 after being redeveloped both underground and on the surface. Six new pumping engines were also installed. The colliery eventually closed for good in 1887.